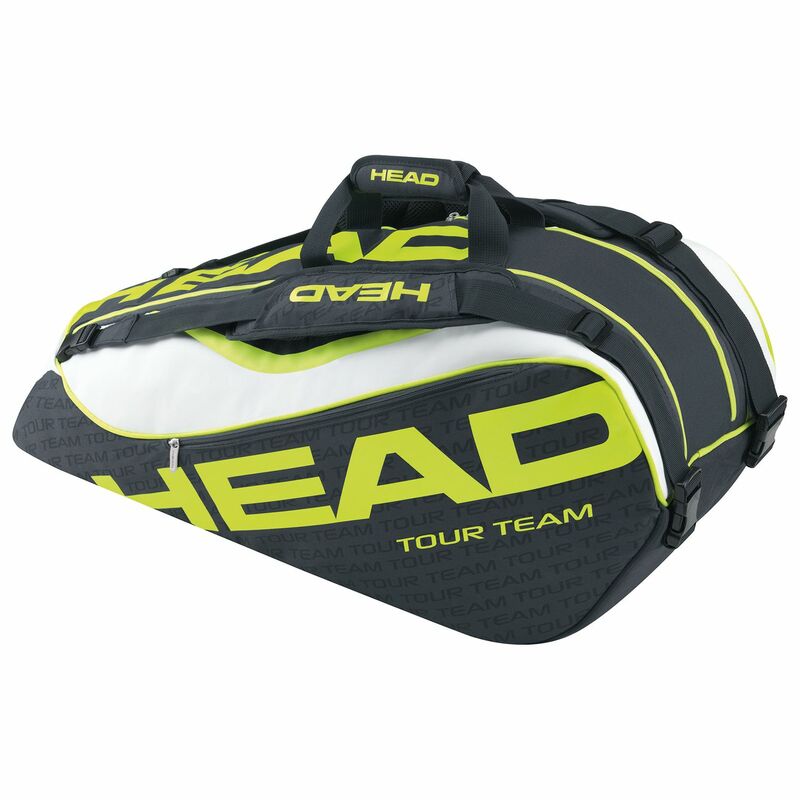 The Head Extreme Combi 10 racket bag combines capacity and practicality with comfort to make a bag that will suit the needs of a more serious player. It has adjustable and padded straps and the design offers two carrying methods, as a backpack or on your shoulder. One of the internal sections has Head’s CCT+ technology which protects your rackets from being damaged by temperature extremes. It has an inside mesh pocket and space for up to 10 rackets or it can also carry clothes and shoes. Accessories can be stored in the easy access exterior zip pocket. for submitting product review about Head Extreme Combi 10 Racket Bag.